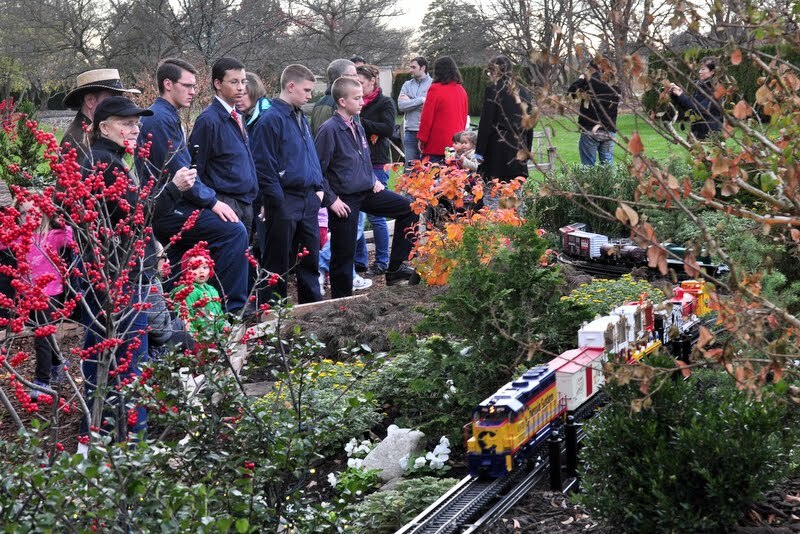 Over the Thanksgiving break St. Louis de Montfort Academy organized a trip to Longwood Gardens. Even though it was somewhat cold, the gardens were very beautifully arranged. The conservatory was very interesting, with its plants from every corner of the world, neatly arranged and looked after. Outside the conservatory, the famous fountains put there by the DuPont family, were artfully “dancing” to Christmas songs. Inside yet another building, one of the world’s largest pipe organs was playing familiar Christmas tunes, while other guests sang and enjoyed its rich sound. The gardens outside, while being dim and gray due to the cold weather, were brightened by the Christmas decorations and lights. As it got darker, these lights illuminated the trees in which they were placed, and resembled stars in the heavens. The time then came for all to withdraw from the beautiful Longwood Gardens, but the memory of this trip would certainly remain with all those who attended.